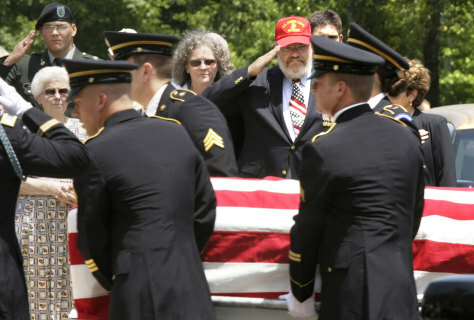 Daris Long, red cap, salutes the flag-drapped casket of his son, Army Pvt. William Long, at Arkansas Veterans Cemetery in North Little Rock, Ark., on Monday. Long's mother Janet Long, center, looks on and brother Triston Long, top left, salutes.